Bobi Wine stands on top of a taxi after disappearing from police that were looking for him during the social media taxi protest in the city centre. Police has said they are looking for Kyadondo East Member of Parliament Robert Kyagulanyi also known as Bobi Wine for leading a protest against social media and mobile money taxes. 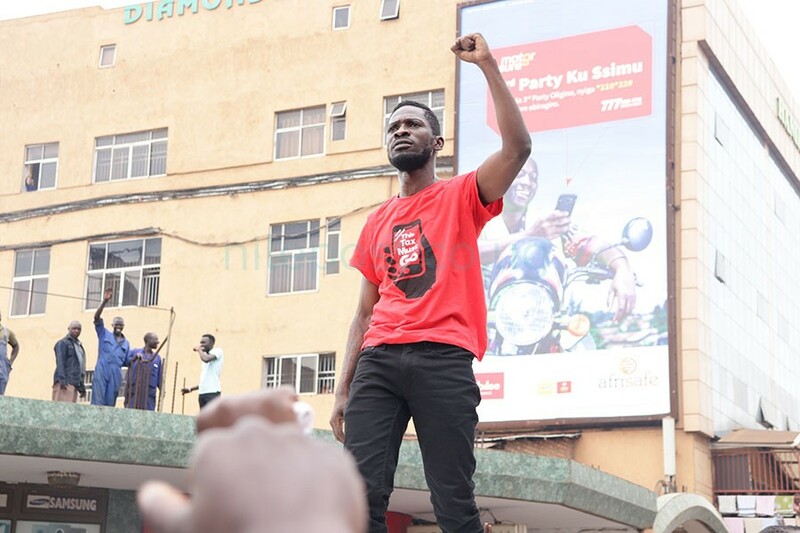 On Wednesday, Bobi Wine led a group of other activists to protest in the city centre over the new taxes introduced on July 1. Kampala Metropolitan Area police spokesperson, Luke Owoyesigyire told the Nile Post that two people had been arrested during the protest but noted that they are now looking for Kyagulanyi. “We have arrested David Lule, 34 and Julius Katongole,21 but we are still looking for Kyagulanyi for holding unlawful assemblies and processions and inciting violence,”Owoyesigyire told this website on phone. The group led by Bobi Wine, musicians and journalists recently said they would hold a peaceful demonstration in the city centre over what they termed as unfair taxes. Speaking to journalists on Wednesday Kyagulanyi said he would not turn back on his fight against the unfair and unconstitutional taxes levied against members of the public. On July 1, government introduced a sh200 per day levy on users of social media platforms including Facebook, WhatsApp, Skype, Twitter and Viber as well as a one percent levy on mobile money transactions attracting outrage from the members of the public. 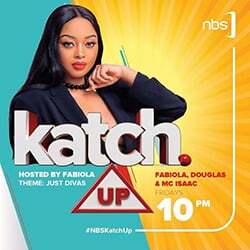 A group of six people including an NBS television journalist, recently sued government for imposing a tax on social media, a move they said was illegal and only meant to suffocate internet based or enabled businesses ,budding entrepreneurs, job searching, talent promotion, creativity and innovation which is an infringement and contravention of economic rights guaranteed by the constitution. President Museveni last week in a statement said by all means the social media tax would stay. “As to social- media tax, all the moral reasons are in favour of that tax. Social media chatting is a luxury by those who are enjoying themselves or those who are malicious,”Museveni said on Monday. Uganda Communications Commission Executive Director, Godfrey Mutabazi had earlier also defended the tax as being a good one and will enable government benefit from “these American” companies that have been making billions of money through social media. “We believe that this is a good tax. Social media technologies have been investing all this time. These are American companies that make billions and there is no problem for us to benefit,”Mutabazi told journalists.